The Latchkey is an interdisciplinary online journal devoted to the concept of the New Woman. It covers the lives and writings of New Women authors and figures; the representation of the New Woman in literature, culture, theatre, art, and society; proto-feminism and early feminist journalism; and current innovative scholarship on the New Woman in the fin-de-siècle and early modernist eras. While the term "New Woman" originated in England, the cultural phenomenon extended beyond Britain. We wish to explore its presence (or reasons for its absence) and influence in other countries and across disciplines, and aim at covering both canonical and non-canonical New Woman figures and aspects. 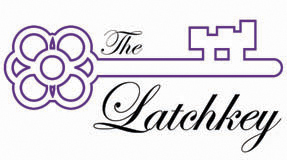 Taking full advantage of the online publishing environment, yet committed to rigorous scholarly standards, The Latchkey provides an inclusive outlet for contributors interested in the ease open-access affords academic and general interest readers. The journal has minimal copyright restrictions, and guarantees contributors the easy sharing and republication of their work. The Latchkey is published once a year, usually late autumn or early winter. We welcome submission of scholarly articles, brief biographical essays, conference and CFP information, as well as teaching innovations and materials at any time and year-round. Submission of a paper to The Latchkey will be taken to imply that your paper is not currently under consideration elsewhere. All articles sent to us will be read first by a Latchkey editor to decide on suitability for the journal. Selected articles will subsequently undergo double-blind peer review. The editors maintain responsibility for final selection. The Latchkey is devoted to open and free access to the journal. Authors of articles we publish will retain full copyright for their work. We only ask to be acknowledged in case of any republication of work that first appeared in The Latchkey. Contributors are responsible for obtaining permission for reproducing any material (such as visuals) copyrighted by others, and for including the appropriate acknowledgments in their essays. Please double-space the text throughout, including all in-text quotations, notes and bibliographic references, with one-inch margins all around. Use endnotes instead of footnotes, and include a Works Cited page at the end. Scholarly essays for peer review should be between 5,000 and 9,000 words long including Notes and Works Cited. Please include the word count at the end. Book reviews should be between 1,000 and 2,000 words. Please include the word count at the end. Reviews should list at the beginning the author, title, editor/introduction (if applicable), place of publication, publisher, date, number of pages, ISBN number, cost, and whether the book is hard- or paperbound. As of our Issue IV, 2013 The Latchkey moved to using Modern Language Association (MLA) style and U.S./American spellings rather than U.K./British, e.g., “publicize” instead of “publicise,” “splendor” rather than “splendour,” and so forth. That mode applies as well to punctuation. Punctuation for quotations should follow standard MLA style and practice: double quotation marks for regular quotations, single quotation marks for a quotation within a quotation, etc. Please indent all quotations that are longer than 4 lines in the original by 0.5 inch (or 5 spaces) on the left side, double space, and do not use quotation marks for such quotations. Please use the MLA two-part citation style: parenthetical in-text references and a Works Cited page with complete bibliographic references. Endnotes provide brief content otherwise not included in the essay’s or review’s body. For these and all other matters, consult the 8th edition of the MLA style manual.